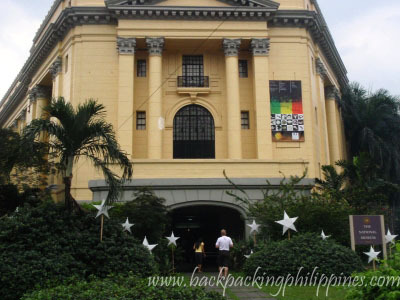 Tutubi visited the National Museum in Manila (officially the Museum of the Filipino People) in Rizal Park (Luneta) quite recently to tour his two friends from France and herewith are the latest information on the National Museum entrance fees and museum hours and contact numbers for educational field trips for schools, and group tours. Museum Hours: Tuesdays to Sundays, 830am to 430pm. On taking pictures inside the National Museum (photography), it has slightly improved that they now allow taking pictures inside the museum except you cannot use flash (it's understandable sine some objects on display ma be sensitive to light) and that only small cameras are allowed. Bringing in of "big" cameras i.e. 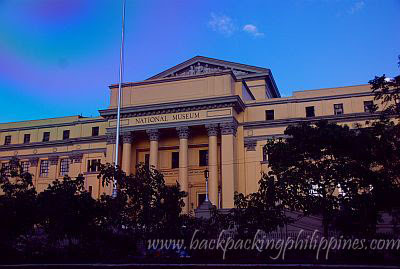 SLR and DSLR require special permits from the National Museum curator. Those people are still armed with archaic ideas that DSLRs are used exclusively by professional photographers. funny that i checked my updates and saw this post of yours; just visited both museums this afternoon. the tour's very worth it :) got a nice surprise at the national art gallery cos due to the current renovations, it's free admission until everything's fixed up. I've never been there. How are the exhibits? I will visit there on Rizal's birthday. I want to see some exhibit there also. We joined in John Silva's tour when we went there. We might re-visit this year for my little J.
is it ok to just walk-in in the museums or do i need to call for reservation/appointment?